Sober Look: Think homebuilder optimism is irrational? Think again. 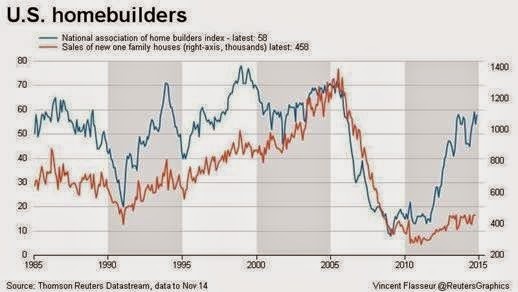 Think homebuilder optimism is irrational? Think again. The chart below (and similar comparisons) has been circulated widely in the media and the blogosphere. It shows homebuilder optimism (as measured by the NAHB) far outpacing sales of singly-family homes in the United States. Naive reporters and bloggers have been arguing that builders are simply out of touch with reality. How could homebuilders possibly be almost as optimistic as they were prior to the housing recession if new single-family home sales are near multi-decade lows? 1. Builders are targeting higher-end and luxury homes - a market where mortgage availability is less of an issue. 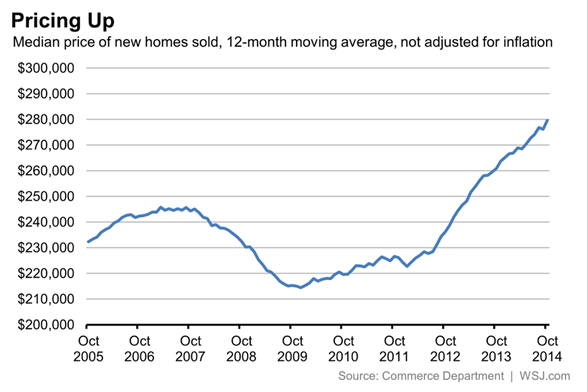 That it why the median price of new homes sold is far above the pre-recession peak and continues to rise. 2. 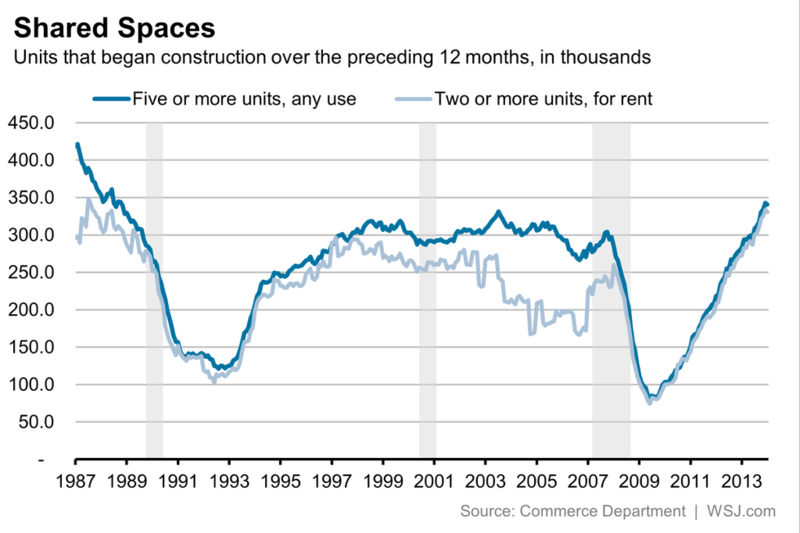 US homebuilders are also focused on multi-family structures - rental as well as some high-end condos. Tighter credit conditions and some consolidation have resulted in reduced competition among homebuilders, with a number of local and regional players closing down after the recession. At the same time rental housing demand is on the rise (see post). Those well positioned in this space will do fine. Therefore, while it is quite popular to poke fun at the "giddy" homebuilders, one should rest assured these businesses are acting quite rationally. And so are their investors. Homebuilder shares have outperformed the broader market since the October correction (see chart).